If you are doing IVF-PGD for gender selection until now there have been only two options, SNP array-based technology and BAC array-based technology. I am pleased to announce a third technique that is the world’s first PGD technology developed specifically to maximize the accuracy of gender determination…GenderSure. GenderSure is greater than 99.99999% accurate for gender! The most accurate test available by several orders of magnitude. DNA is a series of molecules (nucleotides) named A T C G. It is a chain. One nucleotide attached to the the next. The specific sequence of these nucleotides is our genetic code. It tells cells what to make and how to act. It tells a brain cell to be a brain cell and a heart cell to be a heart cell. Very similar to how the alphabet forms words. A sequence of nucleotides might be aaattagcccgcgc for example and that is a specific instruction to the cell to be a nerve cell instead of a heart cell. If the sequence starts gaa… ,taa…, gaa… Or gaa…, the cell fails and the mutation is lethal, there aren’t living human beings that have anything other that aaa… to start that sequence. That sequence is said to be ‘conserved’, cells without aaa…die. BAC arrays (pronounced ‘back’) = aCGH and is focused on looking at these conserved ares of the genetic code by using microchips that have hundreds of thousands of these ‘conserved’ nucleotide sequences (created in bacteria, BAC = Bacterial Artificial Chromosomes) attached to it. The DNA from your embryo is amplified and then compared to the sequences on the chip. The sequences on the chip are in a specific pattern (an array) so that an automated reader knows what sequences are in what location. aCGH = array Comparative Genomic Hybridization. On other hand, SNP stands for ‘single nucleotide polymorphisms’ (pronounced ‘snip’). A SNP is an area in the genome where,using the sequence above, the first four letters can be aaat, aaac, aaag, or aaat and the cell will still behave as it is supposed to. Millions of these SNPs exist that can differ between normal individuals in our genetic code and the specific pattern of these SNPs that you carry is unique to you. No one else on Earth has your unique pattern. This is your genetic fingerprint. This is the technology that I helped develop at Natera. Natera uses SNP arrays on their chips. SNP technology was superior to BAC for many of reasons including proof of paternity and superior gender detection. SNP did not have a single incidence of wrong gender, which is why I was such a fierce proponent of it on Genderdreaming.com. aCGH has had many documented gender opposites, many of which are public record due to the law suites that have been filed. 99% is clearly not good enough if you are spending close to $20,000 to have a baby of a particular gender. Not when superior means exist to get this to great that 99.99999% as is the case with GenderSure. For a number of very good reasons, SNP (Natera) is no longer available for fresh PGD transfer. The inefficiencies of the freeze-thaw process led me to use aCGH exclusively since April of this year with excellent results. My concerns about the gender accuracy of aCGH led me to develop and patent GenderSure. You do not have to come to me or HRC to use GenderSure. I am proud to say that GenderSure will be available at every US clinic that does PGD starting mid-October through IVIGen. IVIGen is a branch of IVI, the largest and most scientifically respected IVF company in the world. IVI are the world’s largest provider of IVF cycles as well as technological innovators. IVI publish numerous original scientific articles each year. IVI physicians also help edit both Human Reproduction and Fertility and Sterility, the two major peer reviewed journals in our field. I am very proud that IVIGen has made this technology available to anyone that want so access it. As stated above, aCGH only looks conserved areas of the genetic message. The ‘Y’ chromosome is more than 95% homologous (or the same as) the ‘X’ chromosome. Only a fraction of the remaining <5% of the ‘Y’ chromosome is the same in everyone so aCGH is alone is not a great tool for gender selection. That is what has resulted in nearly all past errors. 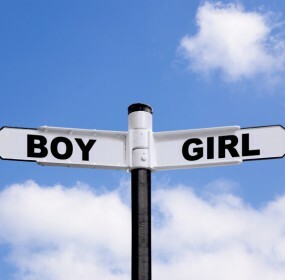 What we do with GenderSure is take a combination of primers specific to the Y chromosome that are not on aCGH chip as well as controls that are on both the X and the Y and the X only and perform PCR (polymerase chain reaction) to identify their presence or absence. We do this AND aCGH. That is what GenderSure is! aCGH combined with PCRS using specific primers. This results in gender determination accuracy exceeding 99.99999%. The 0.00001 inaccuracy arises only from the unlikely prospect of human error. The test itself is certain. Two highly reliable systems would have to both fail in the same direction to call a gender wrong and in fact the 99.99999% is conservative.